Thoroughbred foal production is down about 5% from last year. This figure doesn't appear to be skewed by any spikes in health or welfare concerns, and is likely due in large part to breeders cutting down their programs based on economic considerations. 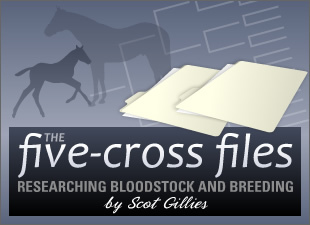 We'll get another indicator later this year when the Report of Mares Bred data are released. The number of stallions standing in North America (those represented by at least one live foal in 2008) has decreased 6%. Conversely, the number of stallions represented by 100 or more live foals has increased this year -- by a hefty 22%. We have fewer stallions overall, but the leading stallions are seeing larger books. The stud fee for stallions with 100+ foals ranged from $5,000 (Tribal Rule (SRO) in Calif.) to $150,000 (Awesome Again (SRO) in Ky.). 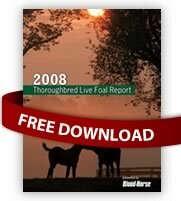 I've spent some time poring over the lists and there are a few stallions whose numbers are somewhat surprising -- either because they had larger books than I would've figured, or because their percentage of live foals to mares bred is worrisome. Anything stand out when you look at the list?